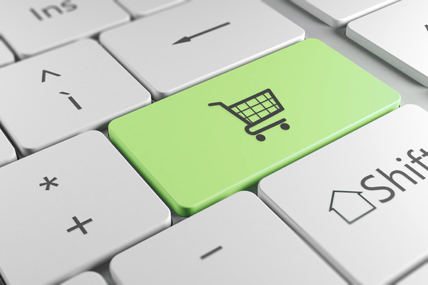 According to Kantar Worldpanel, the value share of E-Commerce within FMCG is today up to 3.9% globally. While this number is as high as 13.2% in South Korea, it is now only 0.2% in Vietnam. Before answering this question, let's take a step back. In the last couple of years, the emphasis in Vietnam has been on Mini-Stores with the rise of Circle-K, Vinmart+ and other Family Mart. A lot of focus has been placed by the industry in understanding this new store format and how it would fit into the Vietnamese shopping culture, and into the new Millennial consumers lives. If the emergence of this new channel has contributed to the performance of Modern Trade in urban areas, it hasn't been the game changer marketers may have expected. 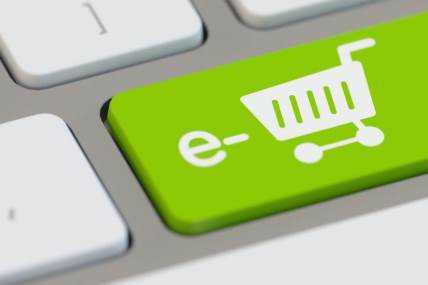 A lot of marketers, retailers and manufacturers are not sure about what to think of e-commerce: is it another buzz word or the future of modern trade in Vietnam? Is it too early to invest, is it not better to support the development of hypermarkets and supermarkets which are struggling to reach their fair share compared to their development in neighbouring countries and are still less than a fifth of the market? Wouldn’t time and money be better spent on traditional bricks and mortar? Well, you would better keep an eye on e-commerce in Vietnam: in less than 3 years it has developed to become a reality in the non FMCG markets, while a lot of experts were assuming the country was not ready for such offer to be successful in this country. Yes, e-commerce is tomorrow’s reality of consumer goods products, and the offers as well as the players are going to structure themselves quickly. So get ready to make the first move if you are serious about it because it will be a reality quicker than you think. First because the number of internet users will continue to rise steadily in every country, including Vietnam: as such, the internet will be more and more accessible to the masses (it is predicted that over half of the world’s population will be connected online by 2018 with 71% of those connected by smartphone). The potential base of users will therefore exponentially grow and not be restricted to a happy few. Secondly, the behaviour of consumers is fast changing as they are now increasingly connected throughout the day, with a usage of mobile services which does not seem to see any limit in terms of growth. 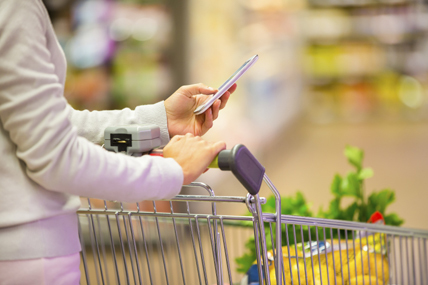 The next generation of consumers who will soon enter the consumerism age will totally disrupt the way to shop, expressing new needs, expecting manufacturers and retailers to offer them flexibility, autonomy and convenience. So far here in Vietnam, it is the younger more affluent shoppers experimenting most with this channel. Today the size of prize for winning with the “digitally native” millennials can be seen as rather small, but it requires our full focus as it will grow exponentially as they take this behaviour forward with them. To the same extend that developing countries jumped directly to the mobile phone without experiencing the fixed line, to the same extend consumers of developing countries directly moved to LCD screen instead of televisions, consumers may directly move toward e-commerce without going through the stage of traditional modern trade… the revolution is on, consumers take short cuts and tomorrow, today’s recipes will simply not work. This digital revolution removes the single biggest barrier to E-Commerce which is that of accessibility. With the widespread use of smartphones in Vietnam (80% in urban 4 key cities), E-commerce will likely be more M-Commerce. With a consumer being continuously connected, living his digital life, they will be expecting much more from the digital world than the current shoppers & will reinvent the current gameplay. They will demand a more convenient shopping experience (Now, 69% of households are having working housewives and as a result, the need for more convenient lives has never been greater) to save more time for their personal life (intensifying traffic on the streets of Vietnam will make shopping trips less quick and easy). With an increasing digital agility and increasing trust in mobile platforms, these consumers will definitely applaud any retailer, manufacturer, service provider who will provide them the winning factor. As such, the opportunity is there for someone to jump in and take the lead… and it could be you. It could be the chance for the current retail giants in Vietnam to move their offer online & take advantage of their brand equity in the market today. With the vast logistics cost of running an efficient service, it is a huge investment that they need to make in order to be successful. However, it may well be the only way for them to defend their current position by offering online ordering and home delivery. It could well be soon the acceleration of the presence of online retail giants such as Lazada or Amazon who decide to make their first big step to drive this channel in Vietnam by working more and more with manufacturers to list FMCG online. Or it could well be the rise of independent type third party companies who actually don’t own any stores or goods. The business model of these companies such as Chopp or MarketOi, who are already operating in Vietnam is mainly based on a delivery service, being a middle man between the consumer and the traditional offline modern trade. Across Asia, there are promising startups which are well funded like Happy Fresh, REdMart or HonestBee who could also consider Vietnam as the next market to set up themselves. To date nearly 6% of Urban households in Vietnam have trialed shopping online for FMCG at least once in the latest year and when they do, they tend to spend three to four times more than they would on an average shopping trip as they don’t need to carry it all back on their motorbikes, so it is clear to see why it is a much discussed topic. We predict E-commerce in Vietnam to grow more than fivefold by 2020, but who will be the biggest winners?